I went to the mountains virtually, being inspired by a very famous and traditional Trentino Alto Adige dish named Strangolapreti, which means “priest chokers”…yes it’s hilarious, but creepy indeed. Whatever, Trentino is a region in the North-East of Italy, the place where the magnificent Dolomites lie. My Granmother used to make a very similar dish, called “ugly but good”. Hers were really good particularly since she seasoned them with molten butter and sage, always a feast for my taste-buds! So I made my version, balanced for my current necessities. I got rid of the butter, and swapped almost everything. Of course the original can’t be beaten and during the winter season I can’t deny myself a treat every now and again. 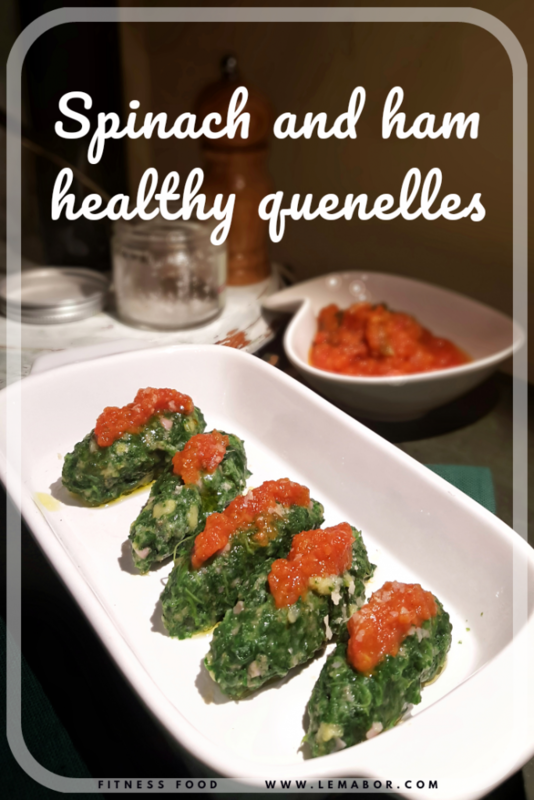 I don’t have much spare time and I have to prepare meals in advance, often in a hurry, so I need something easy to make and this recipe meets all my requirements. Spinach is a staple in my pantry, as well as in my shopping list. I try to buy it as fresh as possible, but it’s good frozen too, as I used in this occasion. Often in my recipes when I can’t find fresh or frozen spinach, I swap it for chard or white beet, but I never used those in this recipe, probably I should. This recipe is a very simple one, easy to make and is an all in one dish. I love having them for a great post-workout meal. The quenelle shape is easely moulded with two spoons , otherwise you can shape some little balls by hand, it works great as well plus it’s my granny’s style. To make this dish, I spent a total of € 5.95 and € 1.48 per portion. Effortless meal put together in less than 50 minutes! 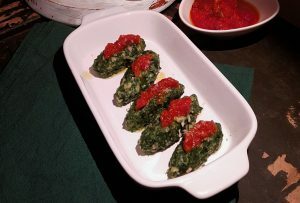 Cook the spinach in abundant boiling water for 5 minutes, then strain and squeeze it and set it aside. In a mixing bowl shred the corncakes and pour milk on them, let them soak while the spinach cools down. Blend the spinach and add it to the mixing bowl along with the cornstarch and sifted whole-wheat flour. Homogeneously mixed, but not entirely smooth . Mix everything evenly and cover it with cling film and let it settle for 30 minutes in the fridge. 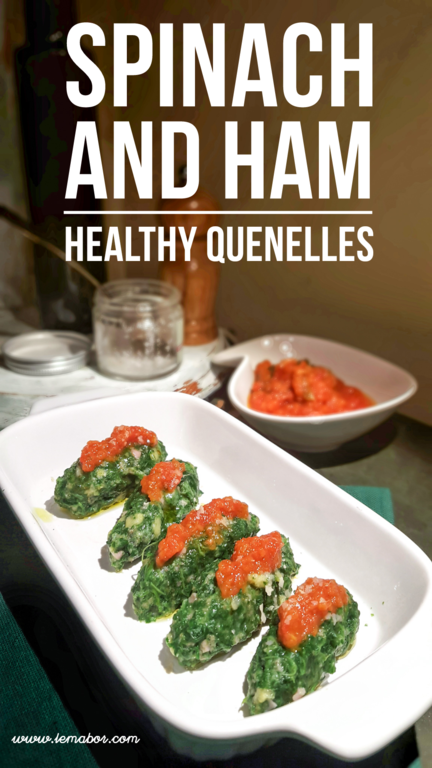 When it's settled, pop it out of the fridge and shape the quenelles with two spoons. I often make little balls (about 3cm diameter) instead of quenelle, it is easier and it tastes the same. Toss them in the boiling salted water and let them cook for 4-5 minutes till they float to the surface. Using a strainer pull them out and put them on a soup plate. Heat the tomato sauce and pour it , seasoning with oil, a sprinkle of nutritional yeast or some grated parmigiano.